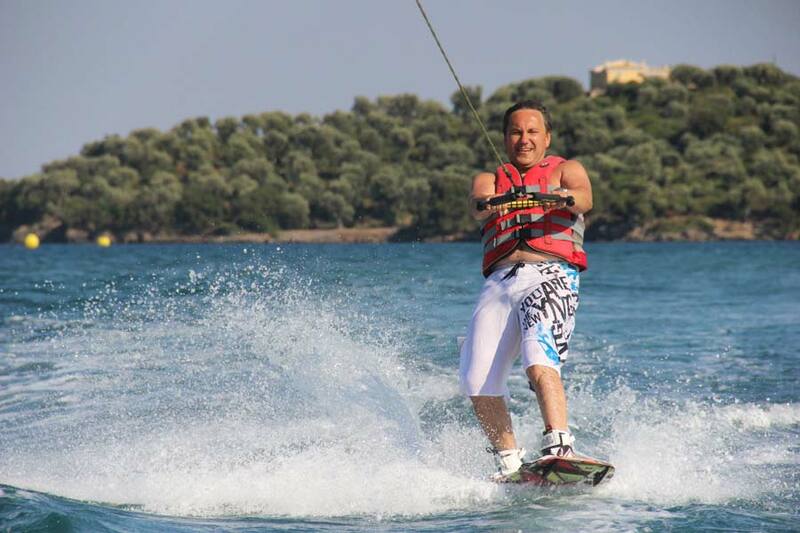 Are you ready to discover wakeboard in Corfu? Wakeboard is a sport which has met significant boom over the past years in Greece. It is about a sport, which derived from the combination of water ski, snowboard and particular techniques of surfing. We are certain that, the enthusiasts of the above sports will equally love Corfu-wakeboard and thus discover a new passion. For those who have not exercised yet, now it it’s the time to test their limits, exercise both their body and their spirit as well as to acquaint themselves with a new exciting hobby. The apprentice level in Greece keeps increasing whereas their interest in sports, adventure and above all adrenaline continues to be unmitigated. Even if you are a beginner, do not hesitate to accept this challenge and discover new potential. Only a ride onto the waves with full equipment and experienced coaching is enough to give you incredible summer moments. The advanced ones grab the chance to exercise your favourite sport in the majestic waters of Dassia Bay. Our boats are suitable for the learning of the beginners and the training of the advanced, since they dispose learning bars and a Wakeboard Tower. In Dassia Ski Club, you can make your first steps or become even better at wakeboarding. Do not hesitate to try new tricks such as 360, slide, backroll and 180.